Students of color are more likely to pursue careers in fields they can imagine themselves in — especially via other professionals of color. 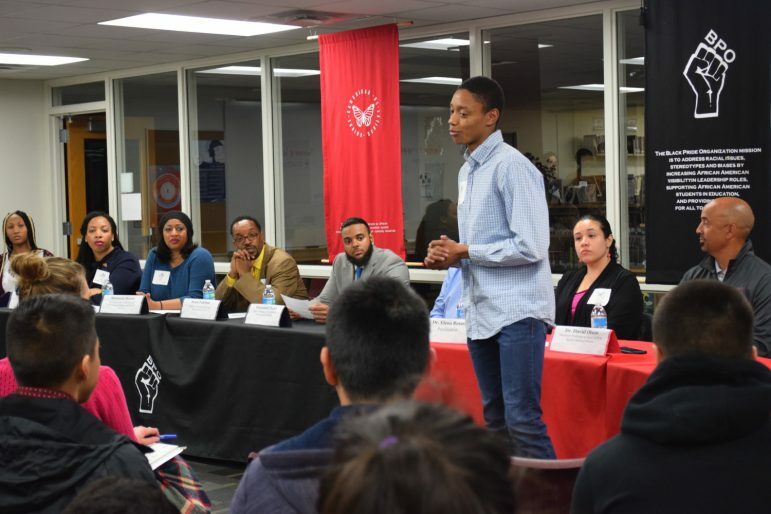 South Saint Paul Secondary’s (SSPS) Black and Latino student organizations are taking that research to heart with their third annual Professionals of Color Career Panel. SSPS’ Black Pride Organization (BPO) and Communidad De Latinos Unidos (CDLU) have teamed together to connect students and families with a panel of professionals of color from throughout the metro area. Student leaders from BPO and CDLU will moderate the discussion featuring a diverse panel of speakers, including Robin Hickman, social activist and television and film producer; and Brittany Baker, the second Black female in the St. Paul Fire Department’s history. The organizations will also host a casual dinner and provide youth the opportunity to speak one-on-one with professionals in their fields of interest. The 3rd annual Professionals of Color Career Panel takes place Thursday, Nov. 15 from 6-8 pm at South Saint Paul Secondary, located at 700 North Second Street in South St. Paul. The event is free and open to the members of the South Saint Paul community. Information provided by South Saint Paul Secondary. For more information, visit www.sspps.org/secondary.